Zadie Smith was born in northwest London in 1975. She is the author of White Teeth, The Autograph Man, On Beauty, NW, Changing My Mind, Swing Time, Feel Free, and Grand Union. "This is a book in which you never know how things will come together or what will happen next... NW represents a deliberate undoing; an unpacking of Smith’s abundant narrative gifts to find a deeper truth, audacious and painful as that truth may be. The result is that rare thing, a book that is radical and passionate and real." "A boldly Joycean appropriation, fortunately not so difficult of entry as its great model... Like Zadie Smith’s much-acclaimed predecessor White Teeth (2000), NW is an urban epic." "Endlessly fascinating... remarkable. ...The impression of Smith's casual brilliance is what constantly surprises, the way she tosses off insights about parenting and work that you've felt in some nebulous way but never been able to articulate." "Innovative and moving... This is a rich novel, as crammed with voices and layered with history and pop culture as is London itself. Smith’s flair for dialogue reaches a new height in NW, as she conveys the rhythms and diction of a variety of Londoners with wit and acuity. The story of what happens inside a person when she rises above the situation she was born into was of interest to Charles Dickens and Jane Austen, among countless other novelists. Zadie Smith has delivered her contribution to this literary tradition with aplomb." "Smith has never been a writer who travels directly from A to B... Smith is not interested in exploring the unbroken line of cause and effect. What NW does offer, in abundance, is the sense of being plunged with great immediacy into the lives of these characters and their neighborhood. How wonderful to have a new version of London to explore." "If our everyday world suddenly turns dark, zany and lyrically weird one day, it's probably because Zadie Smith has learned how to control us all. In NW, Ms. Smith takes her courageous forays into the vernacular to new heights, using perspectives that are perhaps more native to her but in a form that feels brand new." "Zadie Smith is not merely one of Britain's finest younger writers, but also one of the English-speaking world's best chroniclers of race, class, and identity in urban confines. Smith remains fearless, and there are moments that astonish. Her ambition and talent continue to awe." "[NW is] a real sign of how Smith has developed and grown. It is a terrific novel: deeply ambitious, an attempt to use literature as a kind of excavation, while at the same time remaining intensely readable, intensely human, a portrait of the way we live." "A marvelously accomplished work, perhaps her most polished yet." "A triumph... As Smith threads together her characters' inner and outer worlds, every sentence sings." 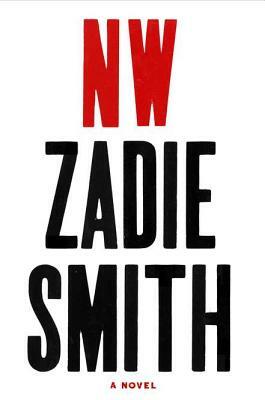 "Smith's fiction has never been this deadly, direct, or economical... Where gifts are concerned, Smith is generous with hers; she writes, one feels, with our pleasure in mind... NW is Zadie Smith’s riskiest, meanest, most political and deeply felt book--but it all feels so effortless. She dazzles." "NW offers a nuanced, disturbing exploration of the boundaries, some porous, some impenetrable, between people living cheek by jowl in urban centers where the widening gap between haves and have-nots has created chasms into which we're all in danger of falling." "A powerful portrait of class and identity in multicultural London. " "One of the most interesting portrayals of 30- something womanhood that I've come across in a long time. For other readers, Smith's brilliant eye and idiosyncratic ear should be ample enticement." "A master class in freestyle fiction writing. Smith mashes up voices and vignettes, poetry and instant messaging, bedroom preferences and murder, and keeps it all from collapsing into incoherent mush with deft, dry wit. Smith defines characters worth reading." "In NW, Smith offers a robust novel bursting with life: a timely exploration of money, morals, class and authenticity that asks if we are ever truly the sole authors of our own fate."